Crafted and served by locals, Namur’s Royal Snail offers guests an authentic impression of this corner of Wallonia. Featuring 30 unusually decorated rooms and suites - some framed by views of the Meuse - the intimate bolthole is as much a place to relax as it is a springboard to explore the rest of southern Belgium. Inspired by folklore and the historic characters who have made the story of Namur, every facet of the hotel - from the name of the restaurant to the hotel logo - is wholeheartedly steeped in the area’s past and present. 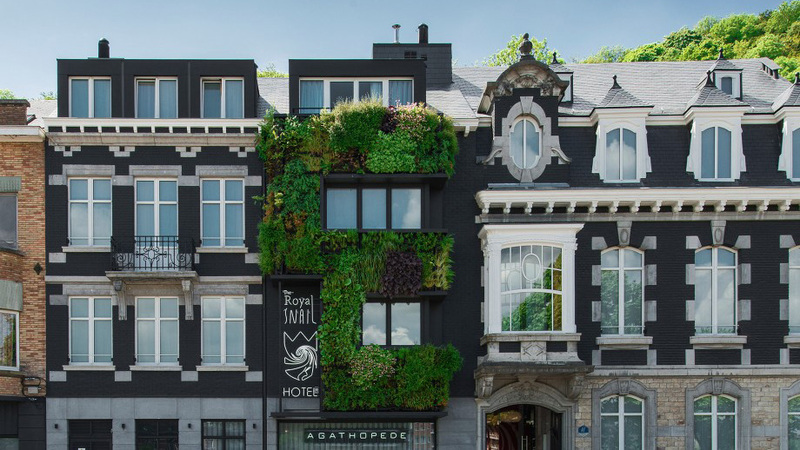 A vertical garden featuring 600 plants blankets the hotel’s façade; a small taste of the innovative design that lies beyond, masterminded by local firm BURO 5 and Parisian studio Muzeo, whose 10 unique themes permeate the rooms. Use of the multifaceted spa, outdoor pool and manicured gardens is encouraged all year round, and the landmark restaurant, L’Agathopede, entices guests and locals alike with an innovative menu. HotelSwaps is pleased to announce The Royal Snail as its newest member in Belgium.